Each of these books won the highest number of votes out of the five nominees in its category, in an online voting process by young readers all across the state of Ohio. Nominations for the 2018 Buckeye Children’s and Teen Book Awards were accepted from March 15, 2017 to March 10, 2018. To be eligible for nomination, a book must have been published in the United States in the previous two years, and not be part of a series that has previously won the award. Voting was held between September 1, 2018 and November 10, 2018. 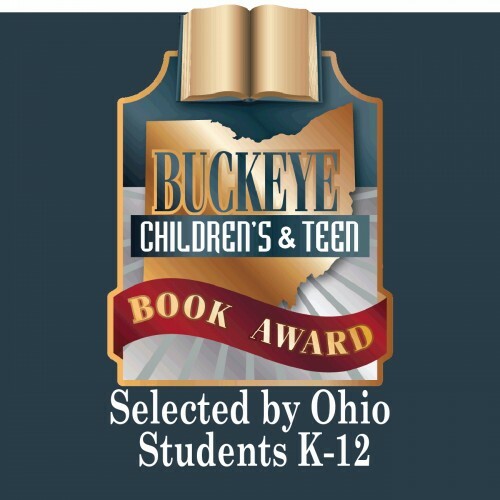 The Buckeye Children’s and Teen Book Award program is designed to encourage children in Ohio to read literature critically, to promote teacher and librarian involvement in children’s literature programs, and to commend authors of such literature. It was established in 1981 through a collaborative effort of the Ohio Council of the International Reading Association (also known as Ohio Literacy Association), Ohio Educational Library Media Association (OELMA), Ohio Council of Teachers of English and Language Arts (OCTELA), Ohio Library Council (OLC), and State Library of Ohio. It is one of the few statewide readers’ choice awards in which students nominate titles as well as vote for the winners. Visit the BCTBA website: www.bcbookaward.info for further information on the voting process and to find past winners and nominees, extension ideas, author information, Common Core connections, and other literary links. If you have any questions please contact the BCTBA Council President using the information below. The Buckeye Children’s and Teen Book Award Council thanks their partner DOGOBooks.com. Ohio students learned about the nominated books, share their reviews, and vote for their favorites using DOGOBooks.com.